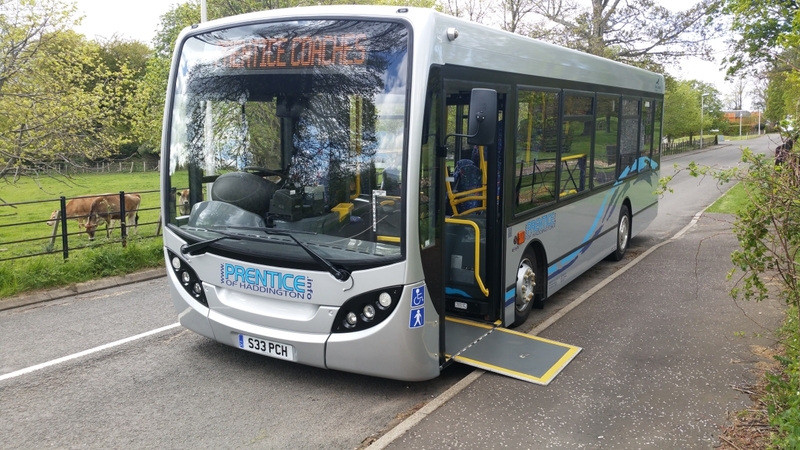 Sygnal is proud to announce a new partnership with award-winning bus and coach hire operator Prentice of Haddington to provide onboard WiFi to passengers in and around East Lothian. The partnership represents an exciting opportunity for both parties to further enhance the travel experience and create a new level of connectivity across the Prentice fleet. As a leading developer of transport technology for the bus and coach industry, Sygnal is ideally positioned to provide robust passenger WiFi to one of the foremost coach-hire operators in Scotland. Despite launching less than a year ago, Sygnal has already established a reputation for innovative and cost-effective transport solutions. Passengers increasingly expect WiFi as standard on their coach service. Likewise, custom services aimed at improving efficiency and reducing costs are fast becoming a fundamental feature on all transport networks. That’s why Sygnal and Prentice are committed to developing a reliable, sustainable service that utilises the latest transport technologies. With this new partnership, Prentice of Haddington has once again exceeded passenger expectations while gaining new opportunities in fleet connectivity and vehicle performance. Click here to find out more about Sygnal passenger WiFi.